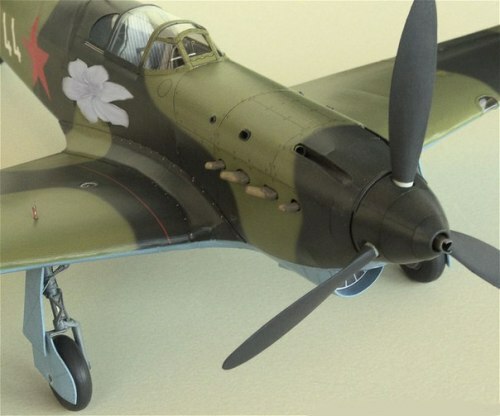 In one of the fights her Yak-1 was shot down over the enemy territory. 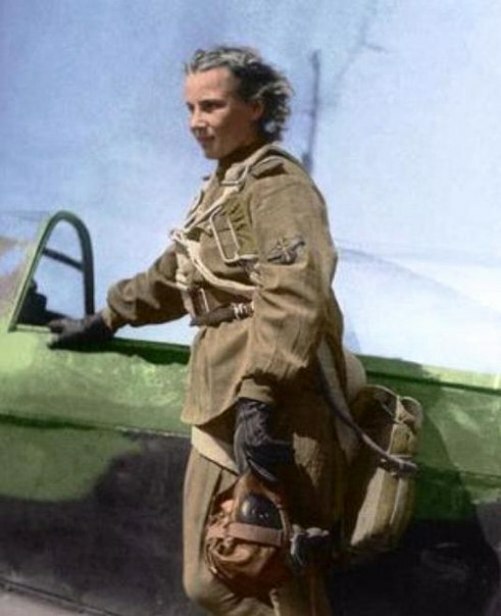 Lydia got out of it and ran away, firing from pursuing her Germans. When the enemies were already very close, and in the barrel was the last cartridge, came to the aid of one of our stormtroopers. With his fire he forced them to lie down and landed beside her. Lydia squeezed into the cockpit, sat on the pilot’s knees, and aufiderzeyn! 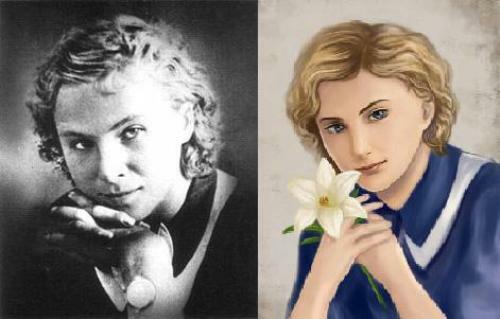 May 5, 1990 President of the USSR Mikhail Gorbachev signed a decree on awarding Lydia Vladimirovna Litvyak title of Hero of the Soviet Union posthumously. 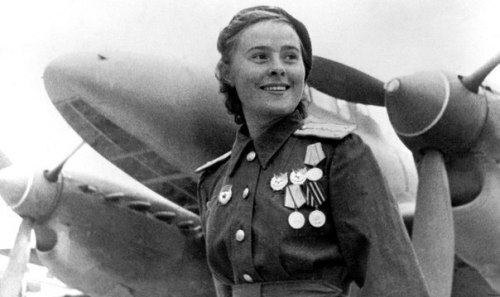 Order number 460056 of Lenin and medal “Gold Star» № 11616 were handed over to relatives of the deceased heroine. 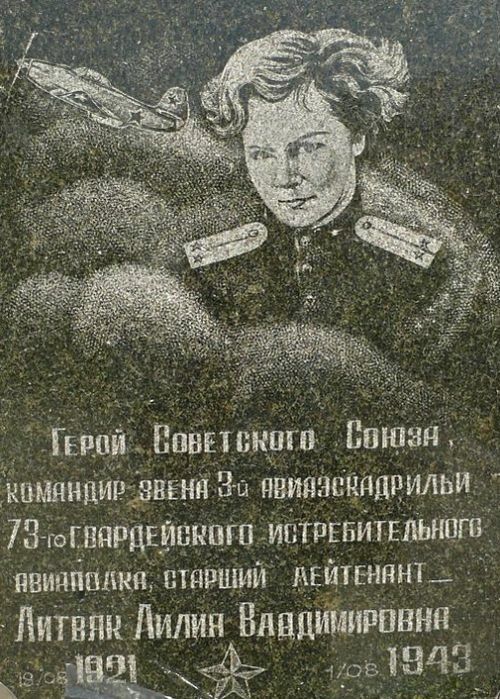 The memorial plate on the place of burial in the village of Dmitrovka of Miner district of Donbass. 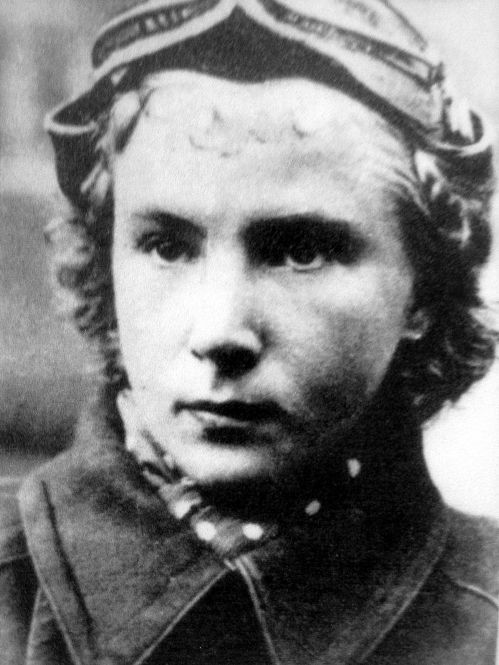 She died 1 August 1943 (aged 21) in Krasnyi Luch, Ukrainian SSR, Soviet Union.